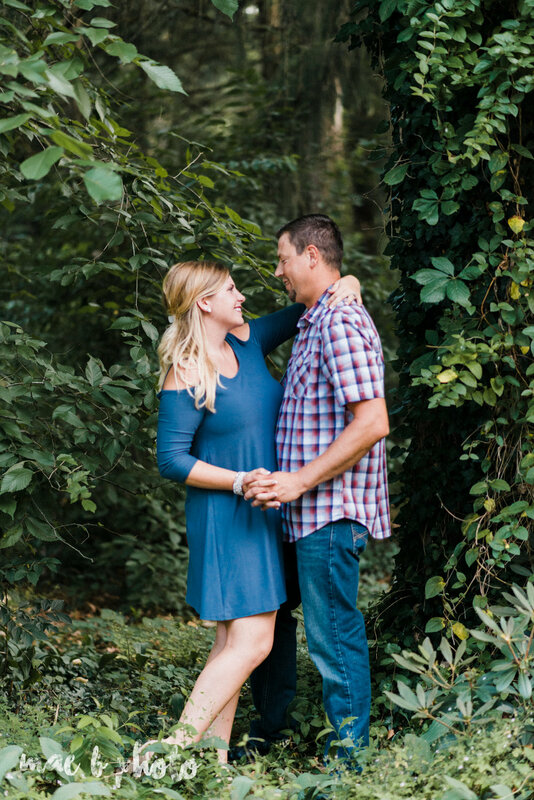 While we know a lot of the same people, for some reason Becca and Rich's path hadn't crossed with mine until they emailed me about their wedding. It's funny how that works, but I'm so glad it happened! They are so down to earth and I can totally envision their wedding being a huge gathering of people having THE BEST time ever. Too bad we have to wait until October! 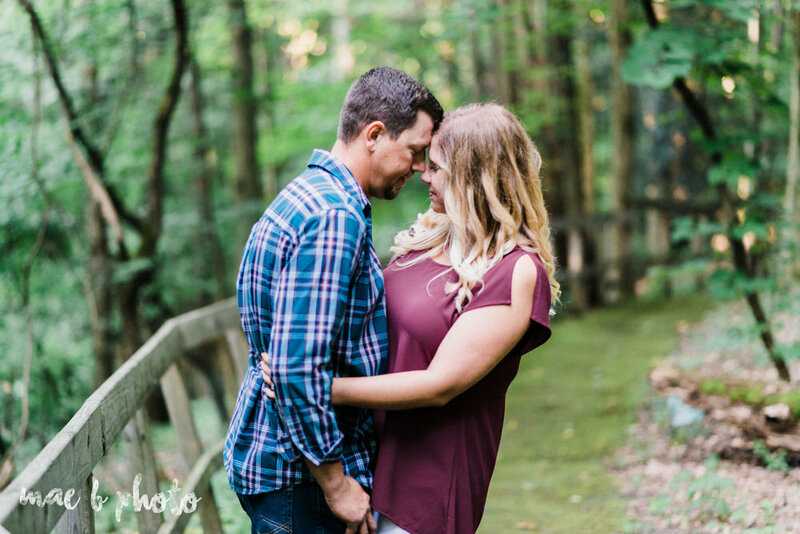 As we were planning Becca and Rich's engagement session, they had mentioned wanting to take advantage of the woodsy vibes of Mill Creek Park. I mean, it IS summer. Why wouldn't you want to explore the park and be surrounded by the lush greenery and cool architecture?! And umm, the gorgeous summer golden hour? Yes please, to all of that! We spent a couple of hours following the moss covered walkways and the falling sunlight while chatting about wedding details. As I mentioned before, their wedding will be in October. The vibe will be a formal yet laid back and country-esque, taking advantage of Becca's family farmland and having cocktail hour there with the reception following at the Metroplex in Liberty. Going along with the personal touches, they will be using a lot of slate from Becca's family farm to add to the decor, along with touches of navy and white and some candelabras as centerpieces. I know I'm not the only one who swoons at the thought of candelabras! There is just something so romantic about them (cue the Beauty and the Beast soundtrack). Speaking of their wedding, let's talk about the proposal! Rich had a pretty romantic plan to propose to Becca during Christmas time in New York City while they were visiting with Becca's brother. At the last minute, Becca decided they should take the trip another time when flights weren't so expensive, but Rich was persistent. 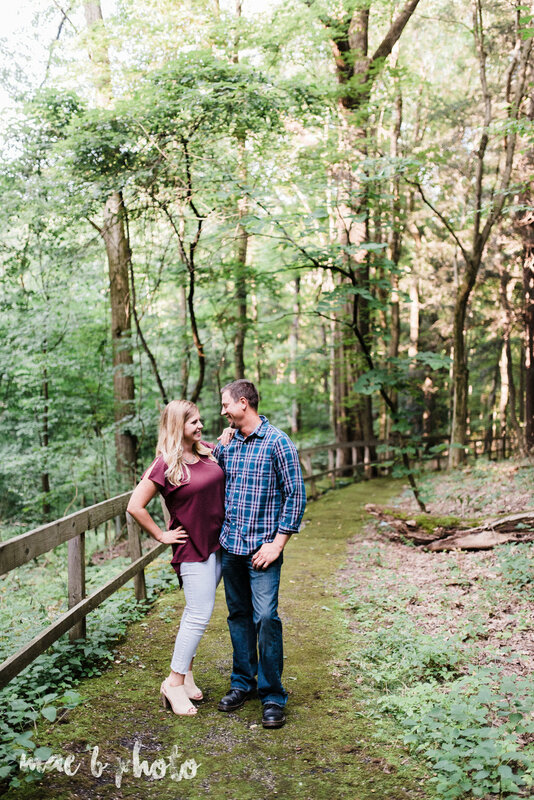 They ended up taking a little trip to the Pacino Mountains in PA instead, where Rich proposed during a walk outside of the resort. 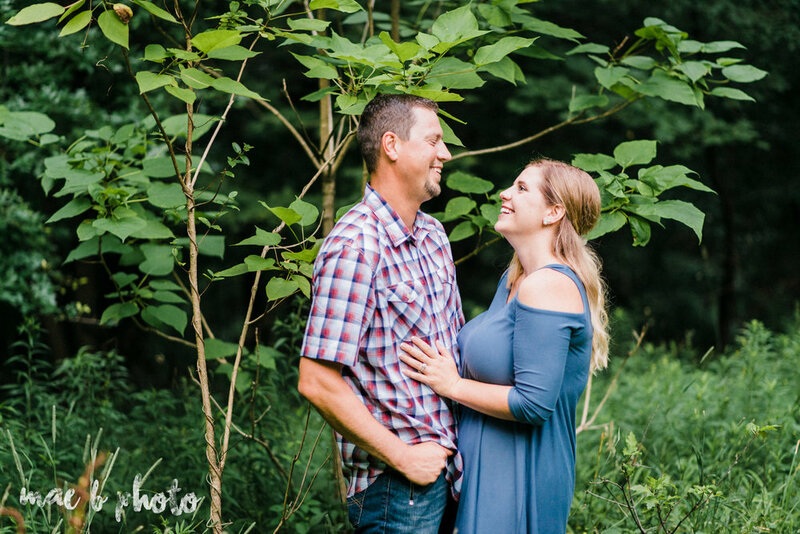 For their wedding day, Becca and Rich both are most excited to have all of her friends and family together to have a good time. Rich is also looking forward to seeing Becca walk down the aisle (awwwww!). And I can't wait to capture it all!